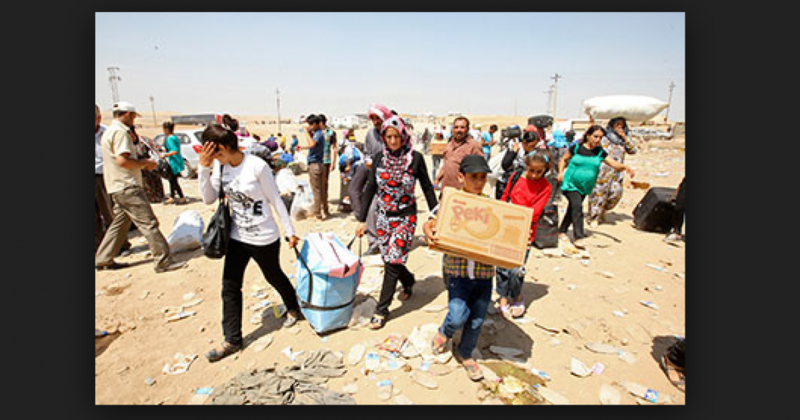 What’s going in Syria and Iraq is not just a humanitarian crisis, it is genocide. While politicians from both sides of the aisle quibble over what term to label the Barbarians that are slaughtering innocents, we are missing the big picture of what is taking place. ISIS has conquered territory and is exterminating any ethnic group or religion that does not conform to their beliefs. For Liberals, definitions are flexible. Liberals want to define terms in accordance with their narratives. And in the case of genocide, Liberals all but condone it. There is good reason for President Obama and his Liberal allies in Congress, mainstream media and academia to not call the refugee crisis a genocide. Most of the world’s genocides in the 20th century happened during the terms of Democratic presidents. The most recent mass genocide occurred in Rwanda in 1994 under democratic President Bill Clinton. Over 800,000 Rwandans were slaughtered. Most were hacked to death with machetes. During democratic President Jimmy Carter’s administration, over 2 million Cambodians were exterminated by the demonic Khmer Rouge regime of Pol Pot. Lesser known is the Biafra Genocide of Nigeria during democratic President Lyndon Johnson’s term, in which 2-3 million Nigerian Christians were starved to death by the country’s northern Muslim tribes. Then there are the several genocides that occurred during the terms of democratic President Franklin D. Roosevelt, most notably the Holocaust, where at least 6 million Jews were exterminated by the Nazi’s. Consider that this article was written nearly 18 months before Barack Obama took office and 4 years before the Syrian Civil War began. How prophetic, particularly when history has a way of repeating itself. We can’t get caught in the minutia battles of what to call groups that perpetrate genocides. In the end, it doesn’t matter whether ISIS is called “Islamic terrorists” or “extremist jihadists.” What matters is that Obama explains why he has done so little to stop the genocide and why he is indeed in denial.